With so many smart home devices on the market, setting up a smart home from scratch can feel intimidating. But it doesn’t have to be. Many smart home gadgets are designed to work together seamlessly — it’s easy to buy what you need and connect them. You can also start by picking up a kit that includes several smart home gadgets as well as a hub to let them talk to each other. 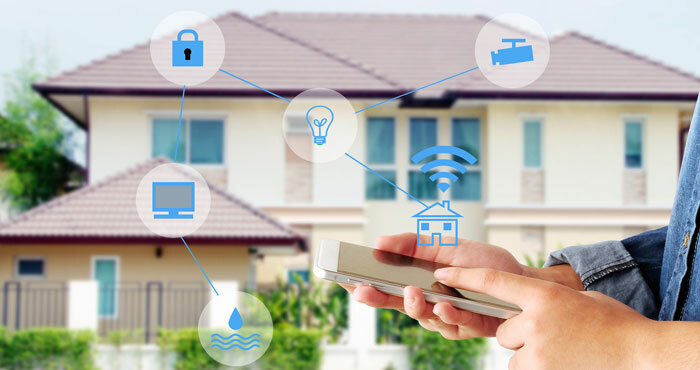 But a smart home can start simply with a single device to perform a specific task — such as a connected lock or a smart security camera. Not every smart home gadget requires a hub to work, which is especially nice if you just want one or two devices. Gadgets like this typically connect directly to your Wi-Fi network and are controlled by an app on your mobile device — and some are compatible with voice assistants like Amazon’s Alexa, Apple’s Siri or Google’s Assistant. Ready to get started building your smart home? Here are our favorite smart home helpers. This kit from Samsung includes everything you need to set up a basic smart home. The foundation is a SmartThings hub, which coordinates all of your smart home gadgets — including non-Samsung ones, like the Amazon Echo, which adds voice control with Alexa. The kit is a great way to start your smart home: You can add tons of products to it when you're ready and control them all via SmartThings. One hub to control everything. Two multipurpose sensors that can detect whether doors or windows are open. You can get more for $29.99 each. One motion sensor, a key part of a home security setup. You can get more for $39.98 here. One smart outlet that can turn any of your electronics on and off. You can get more for $44.99 each. That gives you a basic smart security system, plus a lot of room to grow if you want to. Here's a rundown of other SmartThings-compatible products, beyond what's included in the kit. If you're picking up a SmartThings starter kit, this water leak sensor could be a good addition to help protect your home. 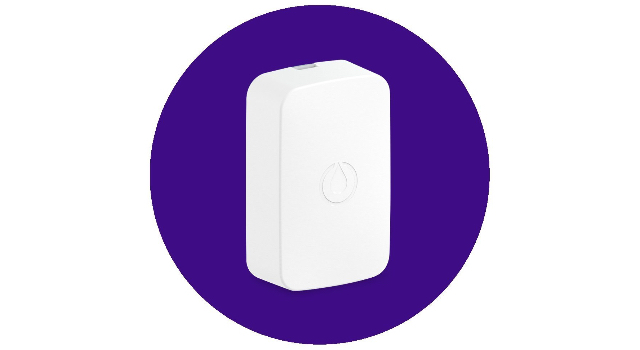 As the name implies, the sensor connects to your SmartThings hub and sends an alert to your smartphone if a water leak is detected. If you're looking for something simpler than Samsung's setup — or you aren't particularly interested in the home security angle — Wemo's smart plug may be what you're after. This is a simple outlet that can turn on and off the appliances you plug into it. While it works with anything you plug in, it's especially good for controlling lights. But the best part about the Wemo Mini is that it doesn't require a hub or any other special equipment to work. 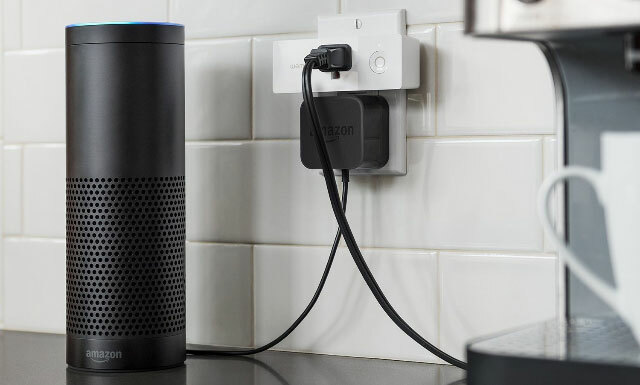 Once you connect these outlets to your Wi-Fi network, you can control them via your mobile device or by voice with Amazon Alexa or Google Assistant. You can even set them to run on a schedule. 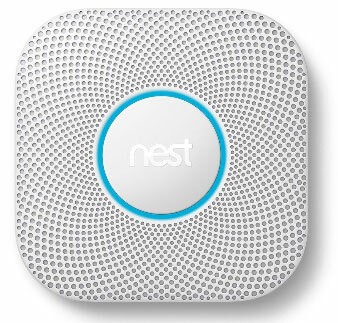 Nest's smoke detector would make a smart replacement for the smoke detector you probably already have in your home. Its split-spectrum sensor uses two wavelengths of light to tell the difference between slow- and fast-burning fires, and it'll never go off because of a steamy shower. If you're at home, the Protect tells you, in a friendly voice, what's happening and where, rather than making the shrill, uninformative beeping sound most smoke detectors make. If you aren't at home, it sends an alert to your phone — again, telling you just what's happening and where. A smart thermostat learns your schedule and knows when you're home or out, so it can adjust the temperature on its own to keep your energy costs down. 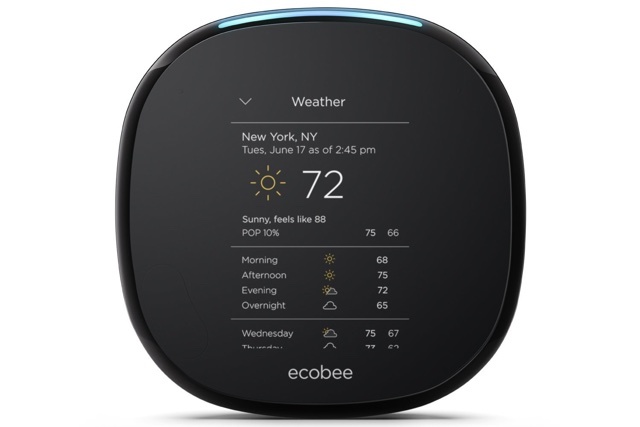 While there are a ton of smart thermostats on the market, the Ecobee4 is our favorite because it has Amazon Alexa built in. So you can control your thermostat with your voice — and use it as a stand-alone Alexa device. You can tell your Ecobee4 to do anything you would tell your Amazon Echo to do, from setting timers to reading the news. It's very handy. There are plenty of devices on the market that turn lights on and off, but the Philips Hue goes well beyond the standard smart light. Each Hue light can produce 16 million different colors, letting you light your home precisely the way you want — from changing the specific tone of white based on the time of day to setting the perfect mood lighting for your holiday party. It's all controlled via your mobile device or by voice via Amazon Alexa, Apple HomeKit or Google Assistant. Though you need a bridge — basically a hub — to network your bulbs together, they screw into any lighting fixture just like ordinary bulbs. Each kit comes with three bulbs and a bridge, and each bridge can control up to 50 lights. Extra bulbs cost $39.99 each if you want all the colors, or you can buy a four-pack of white bulbs for $49.97. 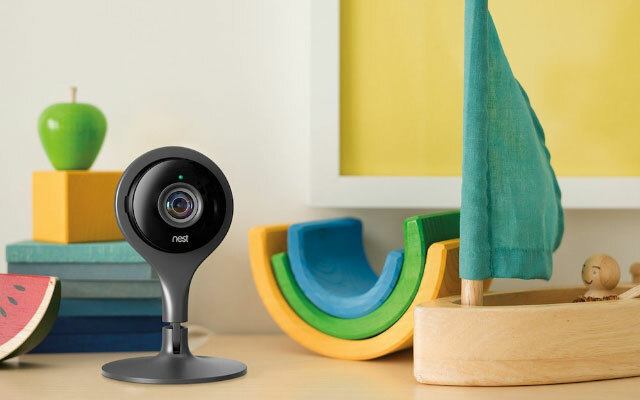 The Nest Cam makes home monitoring simple. All you have to do is connect a camera to your home network and then you can monitor what's happening at home from anywhere — no extra hardware required. A 130-degree wide-angle lens captures everything in 1080p, and night vision lets you see everything in light or dark. You can watch live footage anytime, and Nest will send an alert to your phone or email you a photo if activity is detected. It makes for the perfect DIY home security system. If you want a monitored home security system, check out PCMag's The Best Smart Home Security Systems of 2018. Nest also offers a subscription service that lets you access more video history and configure more intelligent alerts, for $10/month for a 10-day history or $30/month for a 30-day history. This smart doorbell is motion-activated and alerts you whenever it sees someone approaching your home or when someone rings the bell. 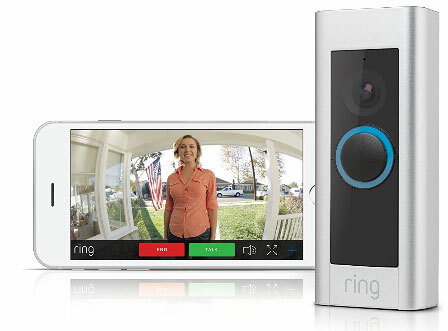 Much like the Nest Cam, Ring Video Doorbell Pro records in 1080p and has night vision to record after dark. You can watch video live at any time, or even talk to someone who's standing on your doorstep. And the doorbell works with Amazon Alexa. As with the Nest Cam, there's a subscription service for more features. For $30/year, you can access video for up to 60 days and share it with friends. August's smart locks are some of our favorites. On the security side, they track everyone who locks and unlocks your door, and let you check whether your door is locked or unlocked at any time. On the convenience side, your August smart lock will unlock when you approach, using a cue from your smartphone, and lock when you walk out. Using the August app, you can give anyone a virtual key, from visiting family members to your regular dog walker. August offers two options: the Smart Lock or the Smart Lock Pro. The Smart Lock replaces your existing lock while the latter simply attaches to your existing lock for extra simplicity. Installation is relatively simple and takes about 10 minutes and a screwdriver. 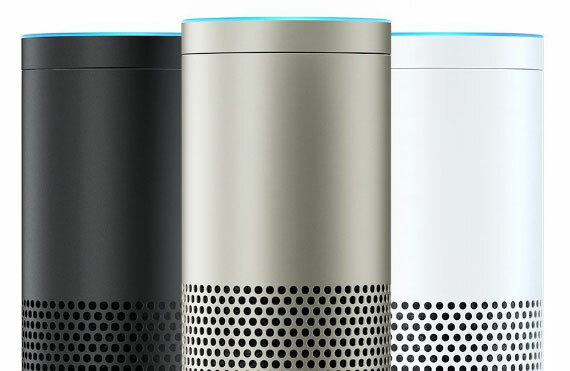 Amazon's various Echo devices are essentially smart speakers: They can connect to other devices via Bluetooth to play audio (even linking multiple Echoes to play together), but also act as voice assistants, working with Amazon Alexa. Far-field voice recognition means the Echo can hear you no matter where you are, and all you have to do is say "Alexa" to get its attention. The Echo can answer your questions, read the news, set timers, summon an Uber, and control a lot of your smart home devices; more Alexa skills are being added all the time. And being able to lock the door or turn the lights on just by asking Alexa is kind of magical. While most smart home gadgets offer apps and voice control, there's another easy way to run all your smart devices: a smart remote control that goes well beyond the standard universal remote. 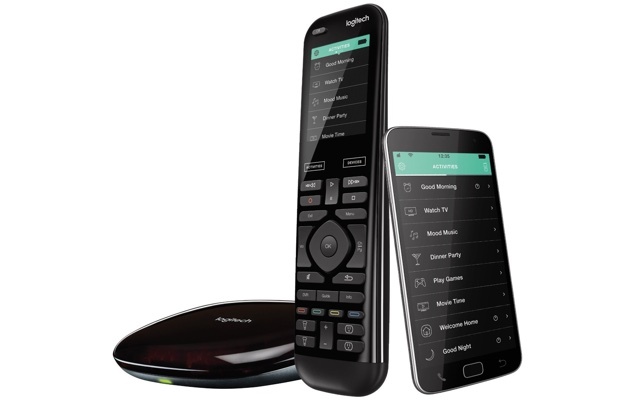 Logitech's Harmony looks a lot like a television remote control — in part because that's what it is. But this remote can also control your smart home. Above a standard set of TV remote-style buttons, there's a full-color touchscreen that allows you to control any smart gadget in the house with a simple tap. An included hub lets the Harmony Elite control home entertainment devices even when they're in a cabinet or around a corner. If the remote gets lost in the couch cushions, you can control your smart home via your smartphone, too. And if tapping the screen seems like too much work, the remote also has Amazon Alexa built in so you can control everything with your voice. Security should always be a concern when adding smart technology to your home. Although smart home companies prioritize security, adding a new device to your home network means adding another device that could be hacked. 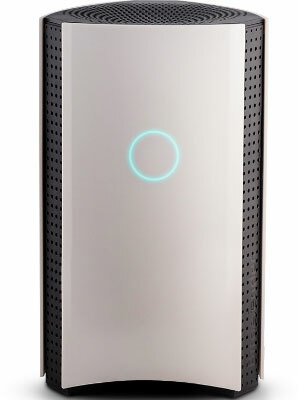 Bitdefender Box and the new Box 2 minimize the risk by getting between hackers and your smart home. They let you know when a new device connects to your network so you can configure what it has access to, and detects any odd behavior that may indicate a hack. And they include a full year subscription to Total Security 2018 Unlimited for Mac and PC. The new Bitdefender Box 2 adds a bunch of extra security features, including parental controls to manage your kids' online time, safe browsing to prevent anyone from opening unsafe websites, and additional internet security features. Your post realised me about my home appliances as i never respected them.